Yokohama Yacht Club, Yokohama, c. 1910. 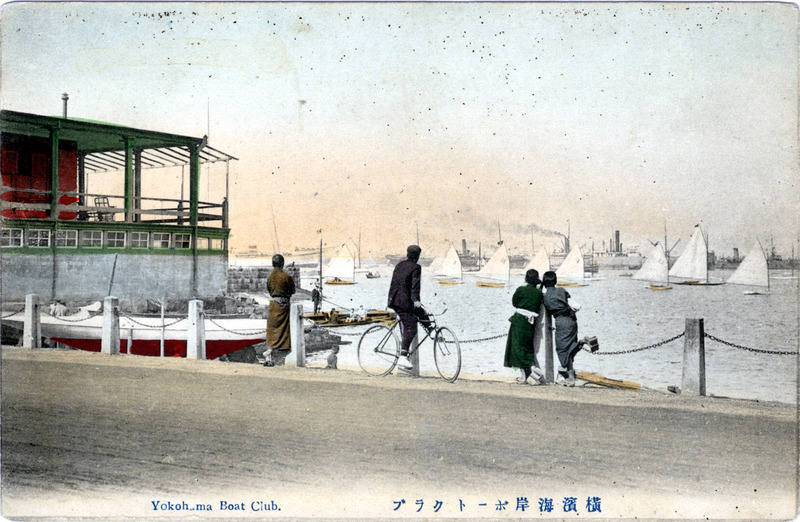 Yokohama Yacht Club, c. 1910. “Western-style sailing boats were first introduced in Nagasaki in the 1860s and later in Yokohama and Kobe, all of them ports open to foreigners. The first yachts were remodelled Japanese-style sailing boats or boats originally used for rescue and landing.